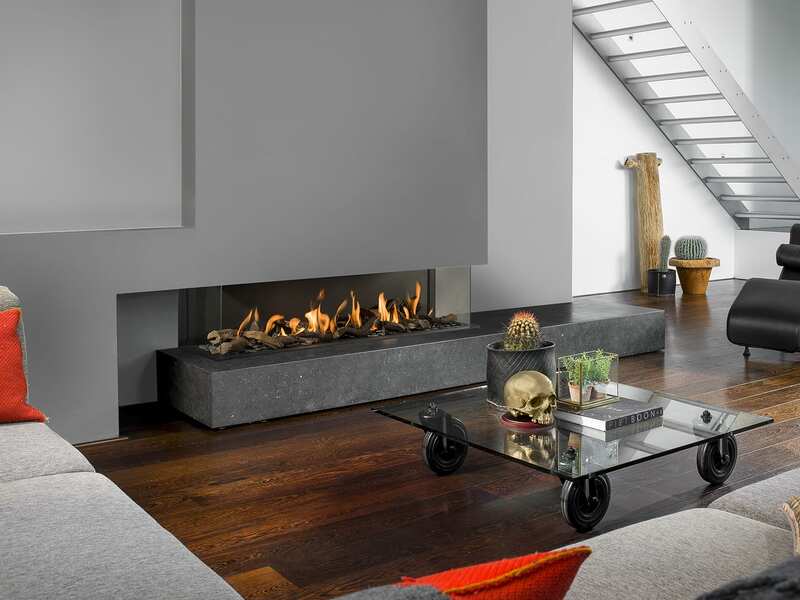 A low and sleek gas fireplace. 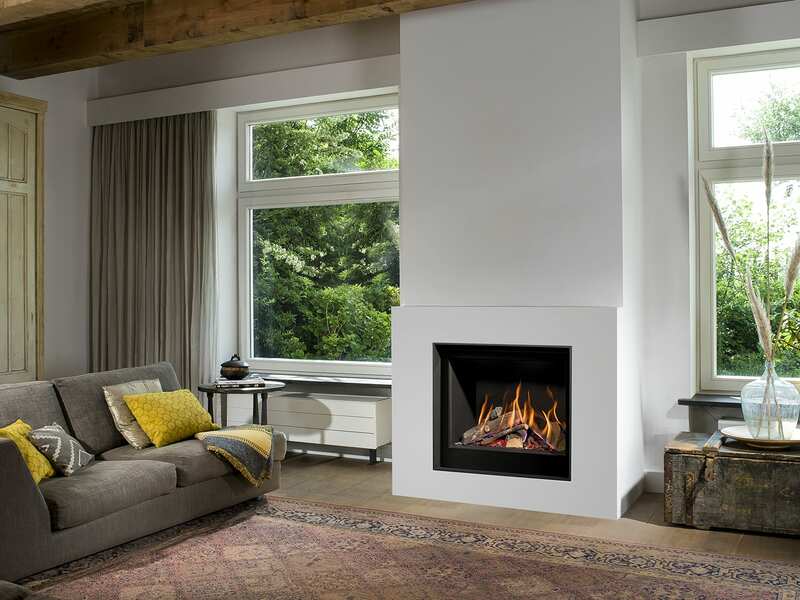 Wider than other typical fireplaces, the Horizon Bell XS 3 sits perfectly within your wall. 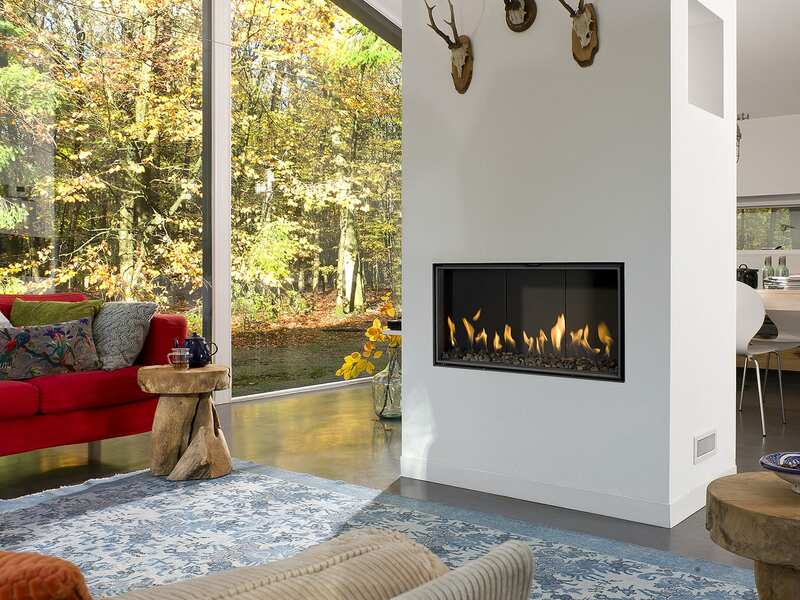 A new hidden door system is available, displaying a black screened glass edge to allow for a cleaner finish to the fireplace.